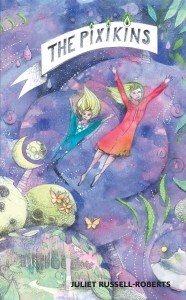 Juliet’s novels are aimed at the 8+ age range, and incorporate elements of adventure, fantasy, morality and spirituality. They are based on real spiritual and psychological concepts – transmuted in to the format of fiction for children – and aim to inspire children and adults alike to believe in themselves and to make a positive difference in the world. 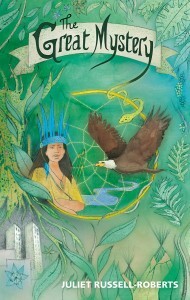 She is currently working on a trilogy that marries East and West and core psychological and spiritual concepts. Thomas, on the surface, had a pretty traditional upbringing… But there was something about him – from the very beginning – that was different. You could see it in his eyes. He knew things that others did not know. And so when Thomas started receiving messages in his dreams and visions that he was from an altogether different place, Thomas knew that it was not make-believe. He let the messages unfold until he had assembled all the pieces of the jigsaw puzzle. And from there, he was free to start living the life he was born to live. Available online through Amazon (print and e-book), Foyles and Waterstones, in-store at Watkins Books, London and Gothic Image, Glastonbury, and through UK wholesaler, Bertrams. There are worlds upon worlds upon worlds, all superimposed on top of one another, existing at one and the same time. The pixikins travel between them by means of a protective bubble. Tala slips on a banana skin, and into the realm of the pixikins. Everything is exactly the same and yet completely different to what she knew before, for Tala can see things as the pixikins see them. Join Tala as she travels through the different layers of the universe – accompanied by a pixikin – on a quest to seek and spread the truth. Available online through Amazon (print and e-book), Foyles and Waterstones, in-store at Watkins Books, London and Gothic Image, Glastonbury, and through UK wholesalers, Bertrams and Gardners. 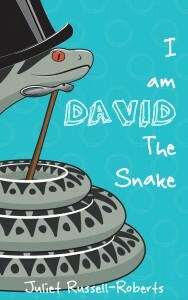 David, the poisonous adder, is the black sheep of his family. He is always in trouble, picking fights, doing all the things that he is not supposed to do. But beneath this fierce façade, lurks an insecure little snake. Insignificant, small and terribly alone.